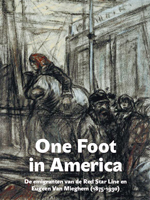 Come learn the story of the mass emigration of Eastern-European Jews from Antwerp to American ports (Philadelphia, New York and Boston) between 1873 and 1934. 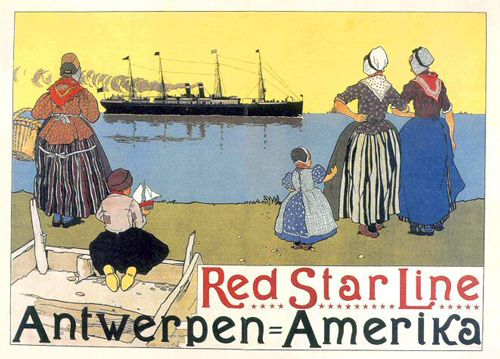 Of the 2.7 million people that were transported by the Red Star Line, 50 percent were Jewish. 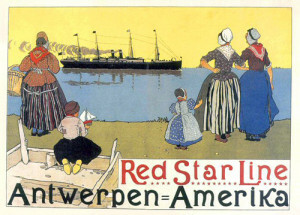 The greatest number came over after the pogroms, between 1900 and 1914 and it is estimated that between 30-40 percent of Jewish Americans have ancestors who sailed with the Red Star Line, which was one of the most important American shipping lines. Some of the notable immigrants were Irving Berlin, Golda Meir and Albert Einstein. Special attention will also be paid to the Jewish writers who described their emigration experience from Antwerp: Sholem Aleichem and Yuri Suhl. The Antwerp artist, Eugeen Van Mieghem, is probably the only artist in Europe who made a cycle of works of art about these Jewish emigrants. He lived in his parents’ tavern in the Montevideo Street just in front of the warehouse of the Red Star Line. 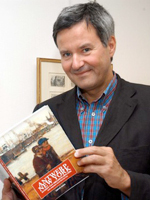 Erwin Joos is the curator of the Eugeen Van Mieghem Museum and President of the Eugeen Van Mieghem Foundation. 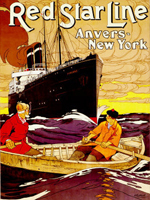 He has given some 100 lectures in Dutch, English and French in Antwerp, Amsterdam, Paris, New York, Philadelphia and 5 aboard the Queen Mary II sailing between Southampton and New York. Joos has written five art books and 12 albums and organized 15 major exhibitions in Belgium, the United States, France, Switzerland, Holland and Germany. 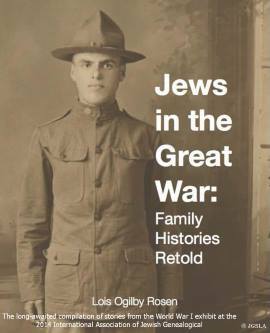 Invite your friends to this fascinating lecture that was only recently delivered at the IAJGS International Conference on Jewish Genealogy!